Club President, Joe Olson, will be this month’s presenter. He said his presentation is actually two-fold: “By making the presentation at this month’s meeting I am looking forward to atoning for the fact that as a boy in grade school I never participated in Show-and-Tell. My topic, with a few digressions, will be Bristlecone Pines, earth’s oldest trees and wonderful tees for bonsai enthusiasts to study. I hope you can attend.” Per Wikipedia: the term bristlecone pine covers three species of pine tree (family Pinaceae, genus Pinus, subsection Balfourianae). All three species are long-lived and highly resilient to harsh weather and bad soils. 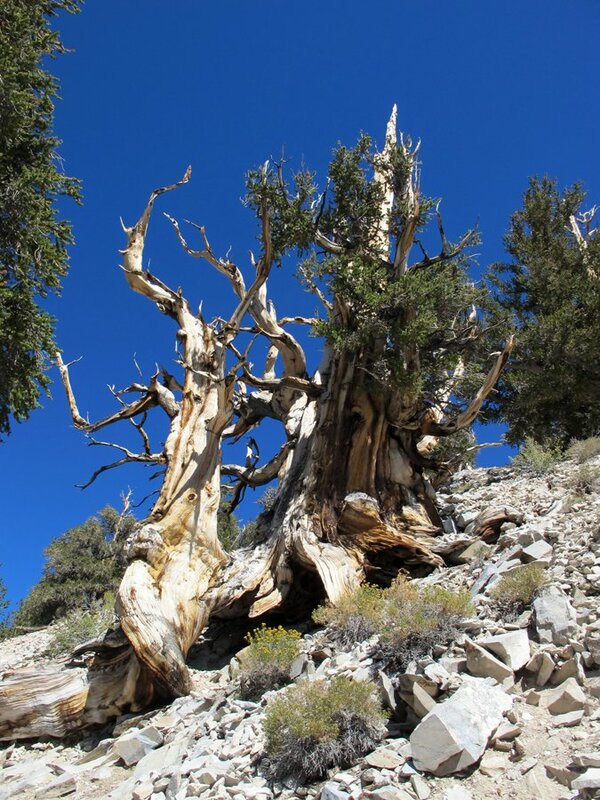 The oldest Pinus longaeva is more than 5,000 years old,making it the oldest known individual of any species. Despite their potential age and low reproductive rate, bristlecone pines, particularly Pinus longaeva, are usually a first-succession species, tending to occupy new open ground. They generally compete poorly in less-than-harsh environments, making them hard to cultivate (and bonsai, I assume). Meet and greet begins at 7 p.m., the meeting starts at 7:30. See you all there! September was not a happy month. We lost two members within a few days. They will be greatly missed. Tom Post had been a faithful member and a driving force of the club for many years. He got interested in bonsai years ago when his son was young and was playing soccer at MacKenzie Park during one of our meetings in the clubhouse at the park. Tom wandered in, got hooked, and until now has always been one of the club’s most active members. He served as President at least two separate times – the last time he actually volunteered when no one else was interested in the job. I remember he has served as Show Chair, but whether or not he had an official position, he could always be counted on to help. 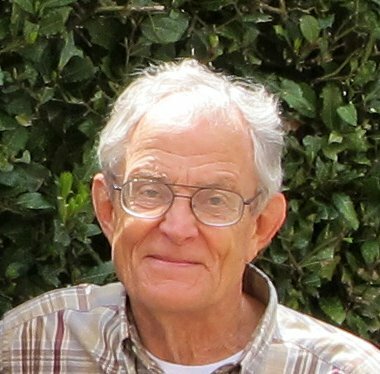 Giorgio Perissinotto joined the club fairly recently after retiring as a language professor at UCSB. He participated enthusiastically as often as his schedule and his health permitted. I always enjoyed talking about bonsai, cars, and Italy with him. Patti Post has scheduled a memorial for Tom at Fellowship Hall, Trinity Lutheran Church (where we had our show this year) on Saturday November 3, 3:00 PM to 5:00 PM. Giorgio’s daughter Carla says there will be a celebration of life for him on Saturday, October 27, details to follow. 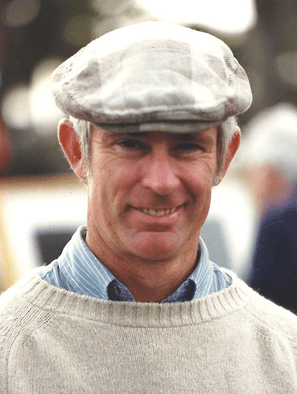 Tom passed away peacefully on September 17, 2018 in Santa Barbara, surrounded by his immediate family. After completing a degree in Structural Architecture from Texas A&M University, Tom took a commission with the Navy, and completed two tours with the Seabees as a 2nd Lieutenant. Next came a degree in Photography from Brooks Institute, Santa Barbara, after which Tom spent his professional life as an artist specializing primarily in printmaking and oil painting. 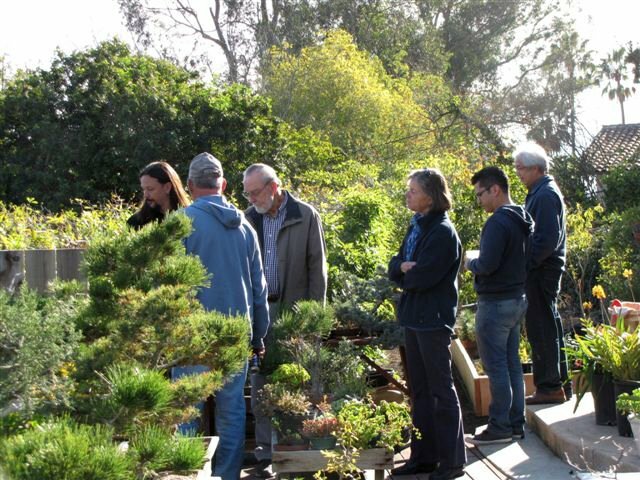 His interest in design also led to his 30 year membership in the Santa Barbara Bonsai Club. His family life revolved around his wife, Patricia, and son, Michael. Tom devoted many years working with his wife on her teaching projects at De Anza Middle School and Ventura High School, which included both the visual arts and dance productions. Tom was active in his son’s involvement with the Santa Barbara Swim Club, AYSO Soccer and the Boy Scouts. Some of Tom’s favorite activities included biking, camping, backpacking, hiking, gardening, long daily neighborhood walks, the Solvang Festival Theater, and watching lots of soccer! Tom was a highly respected artist, exhibiting from San Francisco to Los Angeles. He had a keen intellect, and was an imaginative, creative thinker. He was always motivated by possibility and willing to take creative risks. Tom was a kind and generous man who will be deeply missed by his community of family and friends. Tom is survived by his wife, Patricia, his son, Michael, his brother Don, and his sister Patti, and their families. 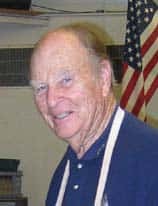 A CELEBRATION of LIFE MEMORIAL will be held for Tom on Saturday, November 3,2018, 3 PM – 5 PM in The Fellowship Hall at Trinity Lutheran Church, 909 N La Cumbre Rd, Santa Barbara. 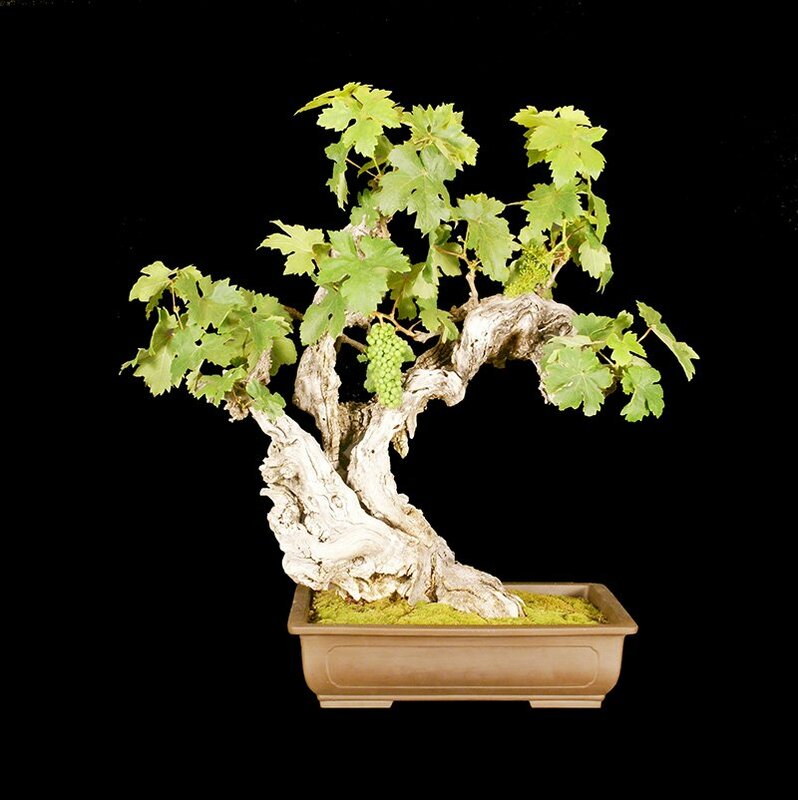 Should family and friends desire, donations may be made to: The American Heart Association; The Santa Barbara Bonsai Club; Cottage Hospital, SBCHF ( Neurological Fund.) Arrangements by Welch-Ryce-Hader Funeral Chapels. 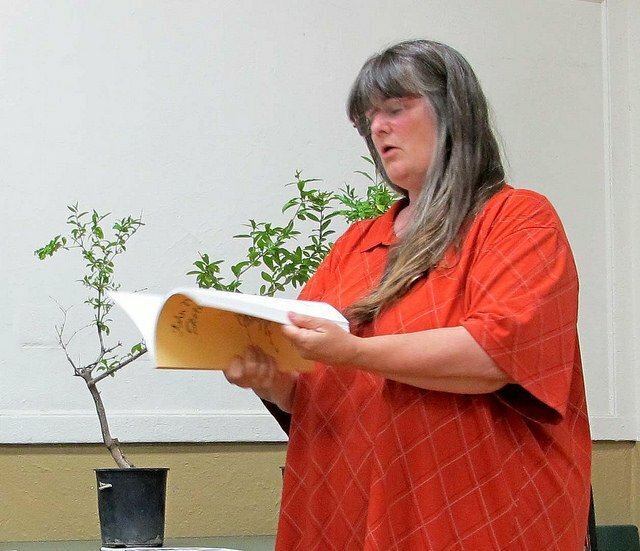 Though Ann brought her Sabamiki (no, that’s not a small poodle-like dog) to the Tuesday night meeting, she decided to talk just briefly about her “hollowed trunk” pepper tree, because the tree’s branches had not grown as much as she’d hoped. The wires on the branches were still on from 2016. Also, her next design step involves messy carving with power tools. Fortunately, she also brought about 100 succulents to talk about. I think her husband John must have ridden on the roof. One of her trees, a portulacaria afra, or elephant bush (shown right), is a rare cork-barked variety, created by Frank Yee. Shortly after he sold it to Ann at Bonsai-a-Thon a few years ago, he realized he’d made a mistake in letting it go. If he were to see it today, he’d realize it was a big mistake. It won a first place award at a recent bonsai show. Ann also brought in a very nice pachycormus discolor that she pruned during class and gave me a cutting of (left). Someday when it’s an award-winner, she may regret it like Frank Yee. She also had a sweet little ceraria pygmaea and many other varieties. Ann said she only waters her succulents about once a week and keeps them in full sun, except when she’s going to show them, then she puts them in the shade for a while prior to the show. Club member, Susanne Barrymore, thinks that we may all be growing succulent bonsai if the California drought continues. Questions were asked about pests and Ann said she is using a spray of one part alcohol, one part ammonia, and one part water to get rid of ants and aphids. 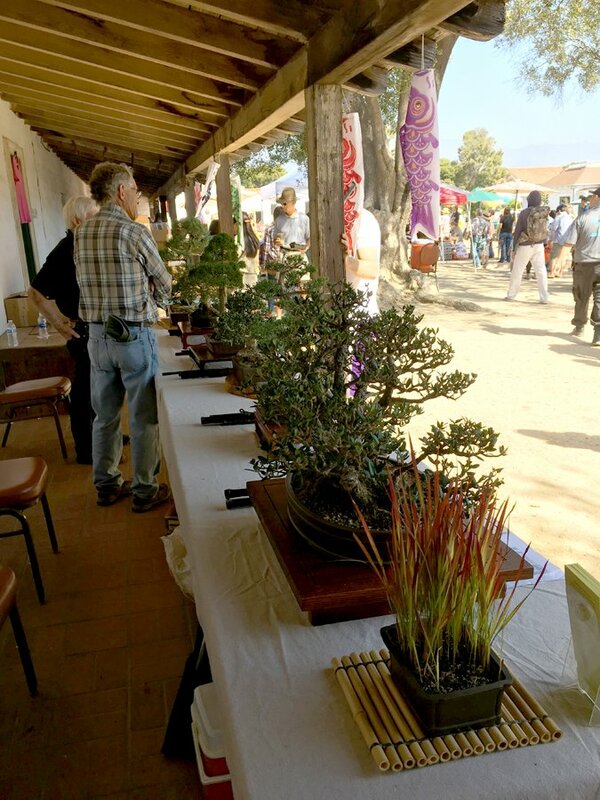 Don’t forget to stop on by the Santa Barbara Asian American Neighborhood Festival this Saturday, an outdoor event celebrating Asian American heritage at El Presidio de Santa Barbara State Historic Park. This free, family-friendly event celebrates the history and culture of the Asian communities that once thrived in and around the Santa Barbara Presidio. Performances and artistic displays will celebrate the rich and vibrant traditions of our Asian American community. Traditional cultural performances feature dance, drumming, music, and other performing arts. Free parking in lot at the corner of Santa Barbara and Canon Perdido Streets behind Panino at 834 Santa Barbara Street. Our Club will have a table at this event and will be showing a few trees, recruiting potential new members, and answering questions about the art of bonsai. Saturday, October 20, 8 AM to 5 PM, and Sunday, October 21, 9 AM to 1 PM.